When you’re looking for support for your immune system, Ricola Herbal Immunity can help. 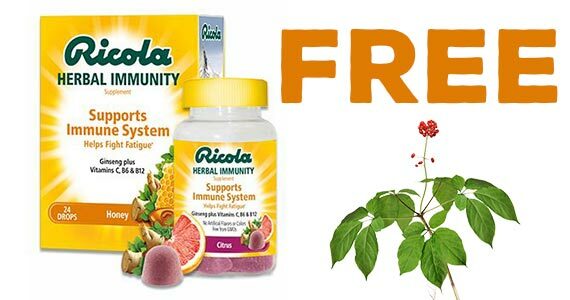 Right now you can claim a coupon for a free Ricola Immunity Product (up to $11.99 value!). Click through and print your coupon! Head to your local drugstore to pick up your product.